By now, you’re probably already familiar with activity trackers — in fact, everyone you know who’s even remotely active has a Fitbit or something similar, even if they barely ever use it. Wearables and trackers like the Fitbit have been around for years, and while the information they provide — heart rate, sleep patterns, GPS — is invaluable, it only scratches the surface of what biometric data can offer. Biometrics — the science and technology of analyzing biological data — can be as simple as taking your heart rate before and after a run, and as complicated as a blood test that determines your hormone and glucose levels. Wearable activity monitors are a basic form of biometrics, and while some of the consumer-facing ones are quite sophisticated, the technology that’s on the horizon is much more advanced and extremely exciting. Companies like Adidas, Catapult, and Whoop have already developed advanced systems that track not just an athlete’s movements and heart rate, but their precise velocity, changes of direction, acceleration, deceleration, jump height, and more. There are a variety of approaches to this technology — Whoop, for example, tracks strain and recovery, rather than steps or heart rate, while Catapult focuses very precisely on the movement and activity of athletes as they’re playing or competing. Naturally, these technologies are being put to use already by professional sports teams around the world that are looking to gain an edge over the competition. 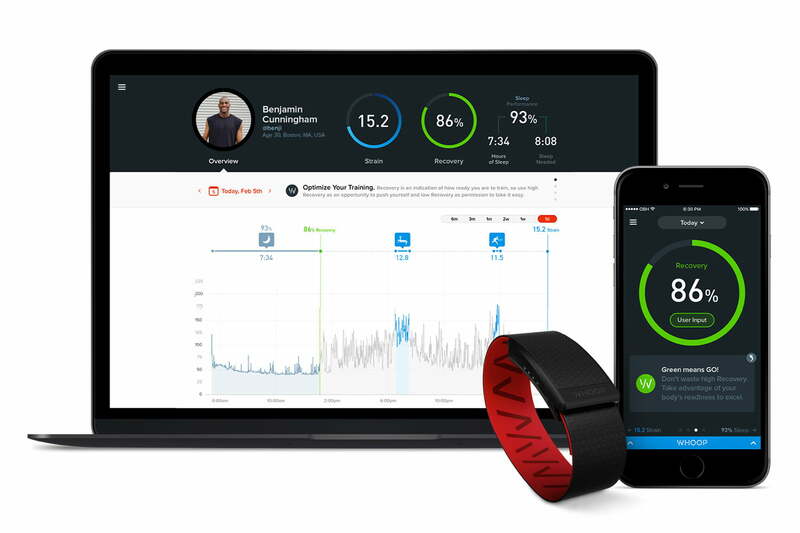 Major League Soccer clubs like Toronto FC, baseball teams like the Chicago Cubs and the Pittsburgh Pirates, and NBA teams the league over are just a few of the organizations that are making use of advanced data to get the most out of their athletes. Sometimes these biometric trackers are worn like a Fitbit, but more and more often they’re smaller and less obtrusive, like the OptimEye — a futuristic device that uses multiple satellites to track athlete movements with incredible precision that’s worn inside jerseys between the shoulder blades. In addition to being able to better track the movements and performance of players in action, solid biometric data can help athletes prevent injuries. Rugby clubs — who lose each player to injuries for an average of two games a season — have started using biometrics to track, measure, and prevent injuries. With aggressive data tracking, the New South Wales Waratahs managed to get a handle on what was causing their players to become injured and significantly reduced the incidence of injury during the 2014 season. A lot of this technology was once science fiction, and the tech required for tracking data this precisely is still out of reach for most consumers (not only is the equipment expensive, but it requires intense analytics software and know-how to get much use out of it). But sleep tracking, VO2 measurements, body fat percentage, and other bits of biometric data that all used to be limited to professionals can now be measured with apps or relatively inexpensive devices. Right now, most devices can track your speed, your heart rate, and at best, a few other data points — sometimes with inconsistencies — but the biometric wearable of the future could provide real-time feedback to either push the wearer to set a new personal best or hold back to prevent injury, providing a level of feedback that you would normally only get with a professional coach. This isn’t a pipe dream either — a 2014 report from IHS Technology projects that global revenue for sports, fitness, and activity monitors will spike to $2.8 billion by 2019. Some next-gen products like the Whoop are almost ready to go to market, and more are likely to follow. Will Ahmed, co-founder of Whoop, highlighted what is most likely to be different about emerging technologies: “You want the technology to be really cool — or invisible”, he said. “A lot of existing players are falling behind in this regard.” Ahmed painted a picture of wearable tech that will either fit more elegantly with a person’s sense of style — or, like the high-tech chips worn by some pro athletes, that will be unobtrusive enough to wear without being noticeable at all. Biometrics doesn’t end with wearables either. 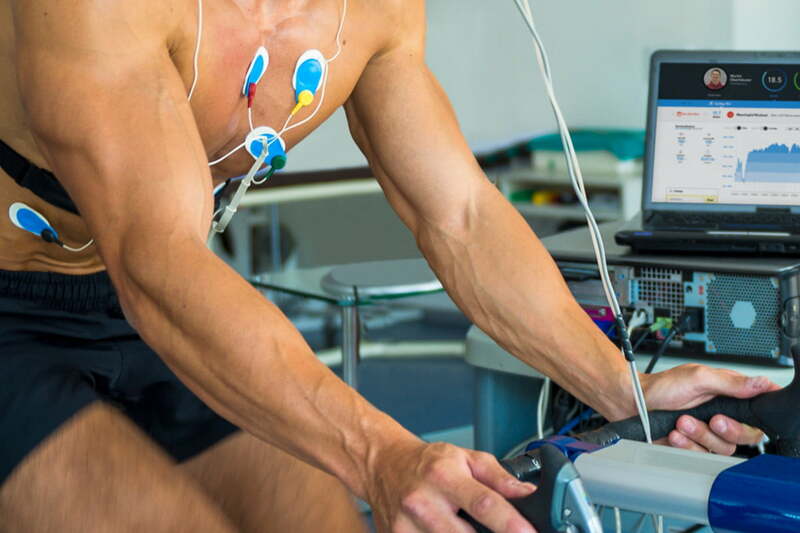 A whole new industry has sprung up around blood testing and the information that can be gleaned from an athlete’s genes. Services like InsideTracker and DNAFit offer the opportunity to find out exactly what your body is capable of, helping customers truly fine-tune their fitness, nutrition, and general well-being. If that sounds a little too much like Gattaca, you’re not wrong, but for the truly obsessed or performance-minded, these services can be very beneficial. The human body is immeasurably complex, and there are thousands of other pieces of data that aren’t being tracked even by the most advanced biometrics devices, so it’s unlikely that we’re going to see a slowdown in this kind of tech. Driven by data-obsessed Moneyball readers and professional sports, biometric tracking will only get more precise, and when the technology becomes cheaper, the average athlete can only benefit.